Matariki is celebrated every year at Auckland Libraries with a month-long festival of events that also incorporates Te Wiki o Te Reo. at Otara Library in South Auckland. 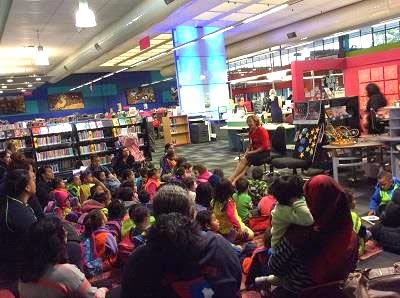 This year’s Matariki celebration was something a little bit extra special due to the addition of a new event: a regionwide storytime, where libraries all across the Auckland region read the same story aloud simultaneously. The story chosen for the mega Matariki storytime was Tāne and the Stars / Tāne me ngā whetū by Ron Bacon, illustrated by Manu Smith, which retells the traditional Maori tale of how Tāne, seeing the night sky so dark, made the stars and scattered them across the sky. Pou Whakahaere (Māori Advisor) at Auckland Libraries, Anahera Sadler, coordinated the event and says this story was chosen because it includes Māori traditions and the seven stars of Matariki feature in the narrative. But there’s also a more solemn reason why this particular book was an appropriate choice, she says. The idea of a collective storytelling experience for kids and whanau all over Auckland is also a key part of the event, says Anahera. “Even though you are not sharing in the same space, you are all sharing in the same Matariki experience. We want to involve the entire community in celebrating Matariki." Matariki is the Māori name for the cluster of stars also known as the Pleiades. It rises just once a year, in mid-winter – late May or early June. For many Māori, it heralds the start of a new year. Matariki means the ‘eyes of god’ (mata ariki) or ‘little eyes’ (mata riki). 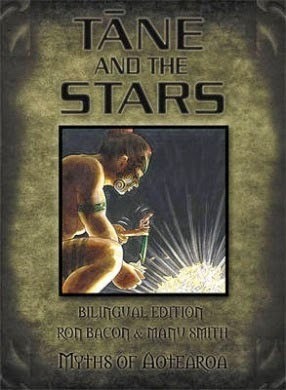 The legends of the origin of Matariki vary. According to Māori myth, when Ranginui, the sky father, and Papatūānuku, the earth mother, were separated by their children, the god of the winds, Tāwhirimātea, became so angry that he tore out his eyes and threw them into the heavens. The seven stars are referred to as Tawhirimatea’s eyes. Other traditions depict Matariki as a female who, alongside her six sisters or sometimes daughters, helps Tama-nui-te-rā, the sun, after his winter journey from the north.